Google has been rolling out some updates to Google Drive recently, with the recent additions like macro recording in Sheets and an easier way to change text capitalization in Docs just to name a few. Now, it's Google Slides that's received a few minor but useful features, as noted in Google's blog post. First up, users will now be able to directly insert slides from Google Slides into a Google Docs document. Previously, it was already possible to insert a graph or chart from Sheets into Docs, but now the same is finally possible with Slides. 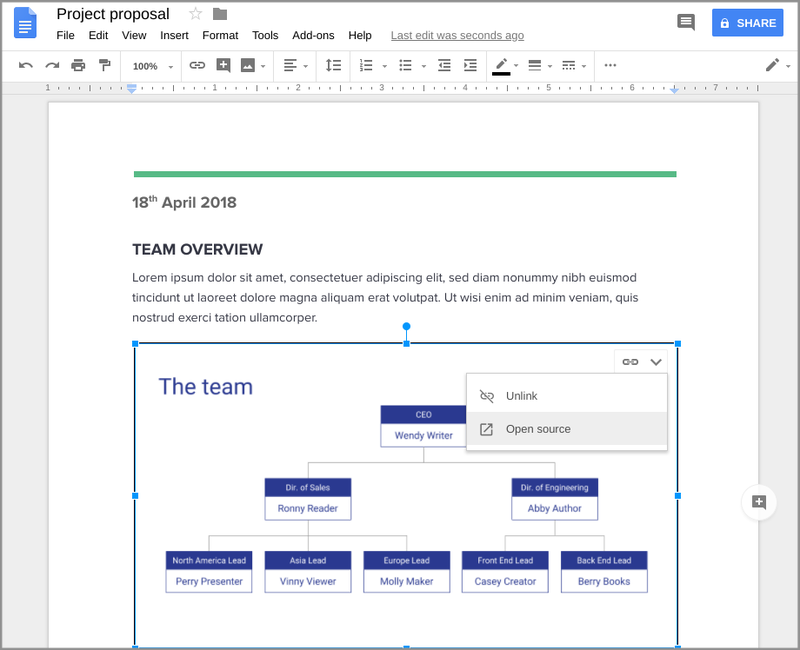 Similarly to how it works when you insert a chart into Docs, slides from Google Slides are not simply static images but can be linked to a Google Slides presentation and be edited and kept up to date. Another change is that guide lines can now be used in Slides, making it incredibly easier to keep objects and text lined up from one slide to another. Elements will also snap to the guides to ensure they are aligned, which facilitates a lot of the work required, too. To make a professional-looking presentation, it is paramount that objects don't move around slightly and remain lined up from one slide to the next, so the inclusion of guide lines is very helpful indeed. Finally, users will now also be able to comment on specific text within an object, such as a text box. This may seem trivial, but until now, it was only possible to leave comments on either a whole object within a slide or on the whole slide itself. The change will undoubtedly prove useful for those who use Google Slides to collaborate on presentations. These changes should already have begun rolling out to all users, with a full rollout expected to be completed within two weeks.